There will be more biopesticides on the European market than chemical ones within five to ten years, according to a leading microbiologist and agricultural adviser. With a raft of new biological products in the pipeline, Europe is set to overtake the Americas to become the biggest market in the world for non-chemical pesticides, according to Dr Dave Chandler, a microbiologist and entomologist at the Warwick University’s crop centre, who has advised the European Parliament and the US Department of Agriculture on Integrated Pest Management (IPM). This follows the introduction in 2009 of the EU’s Sustainable Use Directive, which set rules for the sustainable use of pesticides to reduce the risks posed by pesticides to people’s health and the environment. At present there are 91 bio and agchem firms manufacturing biopesticide products in Europe, and only around 35 products available in the UK. But in the UK alone the biopesticide market is booming, with annual growth rates of 15 per cent, compared to 3 per cent for standard synthetic pesticides. 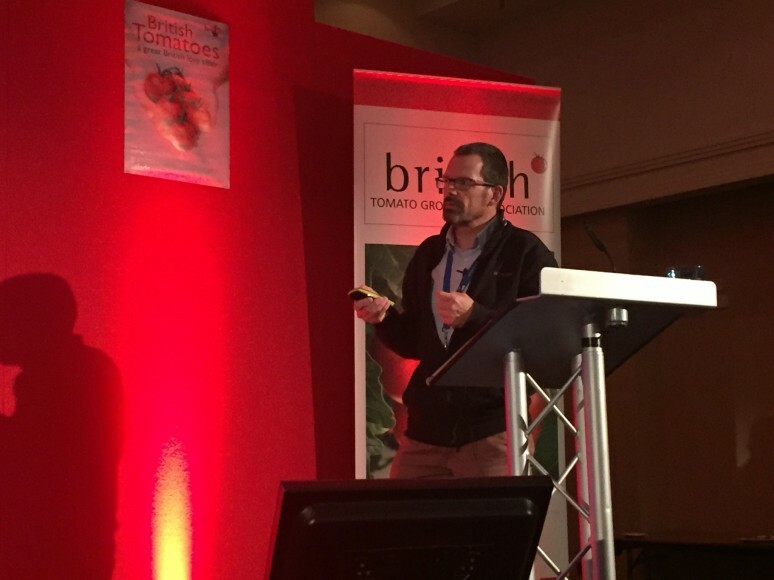 “In Europe, within about five to ten years there will be more biopesticides on the market than there will be chemical pesticides,” Chandler predicted during a talk at the 2016 Great British Tomato Conference on 29 September. “Europe is going to be the biggest market in the world for biopesticides, so it is important that you as an industry and we as research scientists are able to use them effectively,” he added. Biopesticides have several advantages relating to safety, notably that they are low-risk compounds, they have short re-entry intervals and most don’t produce residues. Chandler is also confident that some biopesticide products have proven potential in IPM – an EU initiative within the Sustainable Use Directive to promote low pesticide input management of crops. But he concedes that the performance of some biopesticides is “sub-optimal” and concedes that, as a rule, the biopesticides already on the market are “less effective than standard chemical pesticides”, giving “variable levels of efficacy”. In an effort to tackle some of these challenges, Chandler is leading a project funded by the AHDB called AMBER (Application and Management of Biopesticides for Efficacy and Reliability). It aims to enable UK growers to adopt new practices that improve the performance of biopesticides within commercial IPM programmes. The programme, which began in January 2016 and will run until 2020, will benchmark biopesticides that target pests in six different crops types, including aphids in peppers, whitefly in mint and powdery mildew in cucumbers.